I didn't expect the comments I got on my previous post, it seems there a lot of people interested in the change, some people thought full frame was a bust, that it doesn't differ from crop sensors, some thought that I finally saw the light and will move to Nikon, and others are interested in learning from my experience in order to avoid my mistakes. To all, here I tell the full details of the story, the morals, and my advice to recent camera owners, it will be long, I will try to ingest some pictures to make it less painful, and for the impatient, please jump for the summary at the end of the post. I am not a working photographer, I don't earn any money from photography or this blog, I learned photography first and foremost to capture the beautiful moments in the lifes of my family, so the majority of my photography are portraits and candids, I am certainly interested in other types of photography, but they carry less importance. I like to describe myself as a pretty advanced amateur or hobbyist. I appreciate every single bit of Canon equipment I have ever used, I have not sold my equipment because of any issues with my equipment, they all performed exceptionally well, and sometimes even exceeded my expectations. If I was a working photographer, I would not hesitate to buy a similar system again. Because someone asked, full frame is indeed different, the look and the DoF control are unmatched by smaller sensor cameras, and the noise performance is just brilliant. So anyone thinking I have realized that full frame is a mirage, please don't, I know I'm going to miss it. Finally, I am not going to tell you what camera to buy, or what to do with your DSLR, I am just telling my story so that others can learn from my mistakes and avoid them, all the cameras, lenses and accessories are bought by my hard earned money, I am not advertising for any brand or any certain camera system, you'll have to find out what works for you. Now that that's out of the way, here's what happened, as regular readers already know, my first digital camera I have bought from my own money was a Sony T10 P&S, I used it solely to capture the first 15 months or so while my older daughter was growing-up. Up until now, looking back at these pictures makes me regret not getting into photography earlier, everytime I look, I see ugly colors & white balance, lots of wide-angle close-up portraits, lots of direct flash pictures, the whole nine yards of pure P&S mistakes. Back then I remember Gizmodo's article and high praise of the revolutionary Canon S90, finally a pocketable point and shoot for the more quality-conscious photographers, I did a lot of research and ended up buying the same-sensored Canon G11 and getting started for the first time into the world of aperture, shutter speed, ISO, off camera lighting, tutorials, blogs, everything, that was mid 2009. I started advancing really quickly, my daughter started crawling and walking, and I got frustrated with the slow, hit & miss AF of the G11, and after around 10 months of ownership, the G11 was sold, and bought a Canon 550D along with the holy cheap-but-rather-excellent trinity (18-55 IS, 50 f/1.8 & 55-250 IS). A few more months, and I was addicted to the sharpness of the 50 prime that I didn't really want to use the 18-55 anymore, and I also wanted a wider (50mm equivalent) prime, so I bought the 15-85, the 35mm f/2 and the 60mm macro. I sold the 50 f/1.8. Around that time I already had a 430EX and 580EX speedlites and a few light modifiers. Fast forward 10 months after buying the 550D. I wanted a body with a better grip and remote flash control, the 60D prices were falling down, and the earthquake that hit Japan increased the request on used Canon bodies in Egypt, I was travelling to Malaysia, and I decided to shop from there, I sold my Canon 550D along with the 18-55 kit lens for almost what I bought it for, and bought the 60D and a new 580EX II speedlite from Malaysia. I was very happy with the 60D and my current crop of excellent performing lenses, the 15-85 for wide and all-round shooting, the 35 f/2 for most of my shooting, the 60mm macro for portraits and close-ups, and the 55-250 for telephoto work and compressed portraits. Later I added the 85 f/1.8 which became my background-eraser lens, and favorite portrait lens. So good so far, here is when things starts drifting away slowly without me noticing, I started looking at the incremental upgrade costs, and pretending I didn't see the total equipment costs. Up until that point, I could justify the equipment I had and not feel too much regret buying my gear, maybe I would lose either the 60 macro or the 85 1.8. However, if you look at the main reason I started learning and investing in photography, it was to shoot my kids and different family moments, I don't sell photos or prints, I don't do commercial work, I don't even print the photos, I usually share them on the iPad (more convinent and cheaper than prints), but I enjoy the process of photography itself, some say that the camera one uses should be transparent, it should allow him to do art and get the vision in his head without interrupting his art-making process, not me, I enjoy the process of taking photos just as well as I enjoy making good photos, but maybe that's because I'm an engineer. So what went wrong? Mic Ty started talking about the full-frame dream, I did my best to convince him it's not worth the hassle and that he can already get what he wants with his D300s, but the damage was done, the seed has been planted, and we never got rid of the idea from our heads, add to that i was following around 60 photography blogs and sites, and seeing everyone touting how great full frame is, and looking at pictures with amazingly shallow depth of field (compared to the crop sensor I had), suddenly I decided to switch to full frame, call it gear acquisition syndrome, call it haste, call it irrational, call it competition and not wanting to be left behind (Mic told me he'd sell his own crop Nikon and buy a full frame, and I wanted to do the same), and I won't blame you, it was really not well thought, and I followed my desires and the new gear lust. How bad was it? I have already owned the 60D for 10 months when I took that decision, I sold all my crop sensor equipment, and only kept the 35 f/2 and the 85 f/1.8 to try them out on the new full frame camera, I bought a 5D Mark II reluctantly because I knew it was a step backwards from the 60D regarding some features like focusing, wireless flash control and tilting screen, and more importantly I have been waiting for the new 5D replacement, but when it was announced, I knew I wouldn't be able to afford it. Anyway, I ended up selling the 35 and 85 lenses and bought a really nice setup, 24-105L, 50 f/1.4, 100L Macro and 200L f/2.8. I also replaced the 430EX with a YN-560II flash, and the 580EX with the very expensive 600EX-RT (another stupid move). I was really happy with my equipment, it was a really different world depth of field and noise-performance wise, but for some reason I couldn't get the 5D Mark III out of my head, all those amazing reviews and high praises for it never made it any easier for me. See a pattern? I was too engrossed in equipment lust, that I only looked at the incremental upgrade costs, I never really stood back and look at the complete picture, I was not willing to give up the quality and the DoF control I had with the full frame, I always wanted more, better, faster. I'd read a review or see a shot and then lust after this lens or that whatever, just to get a similar shot, but will this shot make my life better? Does it deserve this amount of expenditure? Will I ever want to take that shot again? One thing that started bugging me was the size, the Lowepro Toploader 55AW that used to carry my 60D with two lenses and a 580EX flash was only able to take the the 5D2 and the 100 macro. Look at the picture above, that's a 550D with my 60mm Macro and lens hood, versus the 5D2 and the 100L Macro with the lens hood. I had to buy better and more expensive bags. Weight was another issue, with all the incremental increases over time, I was shocked at how heavy my equipment weighed when I compared it to the smaller crop sensor bodies. The logical decision is to downsize, yes? No! This time I'd call it stupidity, one day I decided that I was fed up with the 5D2's focusing system, and that I deserved a 5D3, there was a good offer for the 5D3 selling for slightly less than $3000, so I hastily sold the 5D2 and got the 5D3 in the same day, the 5D2 spent around 6 months with me, and I thought it would be the odd duck with the least ownership period, and that the 5D3 would live forever. I was thrilled with the 5D3, it was brilliant, and that's even not enough praise, it was completely transparent during the image making process, it took images so quick and wanted to move on to others, it did high ISO like a champ, it was (at minimum) one stop better than the 5D2 at ISOs above 1600, it was magical, but I lost some of the fun I had during the image making process, it was so good that getting a bad result or an out of focus shot a rare occurrence, but that was never the reason for selling it. One day during a team building trip a few weeks ago, I was sitting on the beach, phone in hand, and the Vanguard Heralder with the 5D3 and 24-105 on my lap, and I started to envy my colleagues running around and having all sorts of fun on the beach, while I sat there guarding my expensive camera gear, and not to mention the size and the weight I had to lug around. 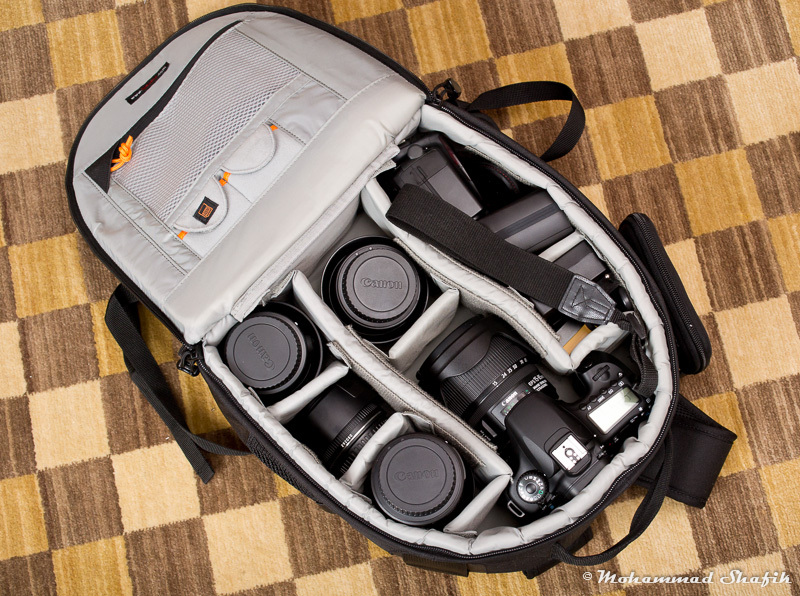 I didn't trust the room service, so I never left my camera bag at the hotel room, I had to lug it around everywhere. A few weeks earlier, I decided I'd buy a small compact camera for situations like this, but I didn't want to compromise image quality and wanted it to have a viewfinder, and of course it shouldn't be expensive since it would just be a complimentary camera. Back to the beach, with all of these thoughts in my head, I opened an excel sheet on my phone, I wrote down the prices of the current camera gear I currently had, and the prices of a quite similar micro four thirds system based around the OM-D EM-5 (for some reason I couldn't take this camera out of my head, and Roger Cicala didn't make it any easier), don't really know why I decided to do that, maybe I imagined my self with a really small camera that I was able to take around everywhere with no fear, anyway that's what I did, and the result was a shocking eye-opener for me. You can already see the full picture because I told the story in one-shot, but it took me years to reach this point, I was genuinely amazed at the savings I could achieve by switching to m4/3. The result was that I could sell my Canon gear (body, lenses, flashes, bags, accessories, etc...) for around $8000, and buy a new system that could do 80% of what my current system can do, while saving around $4500, gasp! Did I really go that far? The realization hit me so hard, I was quite upset for the rest of the trip, and I was more aware how much is at risk if I dropped my camera or if it was stolen from me (which happened to one of the friends earlier). From that moment, I kept checking the whole internet for OM-D system reviews, you name it, blog posts, equipment reviews, forums, flickr galleries, all weird sorts of sites. I spent a few weeks trying to measure how much image quality and camera performance I would lose, but this time I did factor in my initial and almost sole reason for taking photos at the first place, which is better family photos (touche), but that's the reality, and I also wanted to enjoy the process of taking photos again, I didn't want to buy something that made photography as easy as the 5D3 did, I wanted to be more involved, like thinking more about the backgrounds since I won't obliterate them OOF anyway, trying harder in lower light, since I won't be able to just bump the ISO and use a powerful flash. This makes getting good results more satisfying, but of course if I was a paid photographer, I'd want the best performing equipment that I can afford, that's why I am fortunate I am my un-paid family photographer. After thorough research, and more re-evaluation, I decided to sell all my Canon gear (5D3 owned for less than 3 months), buy a m4/3 small system, and un-follow the thousand photography blogs in my RSS feed since they mostly ignite my gear lust. One benefit of my decision, is that there is no market in Egypt for the m4/3 cameras, so I wouldn't be able to buy new lenses easily, and I won't be able to sell my camera or lenses, I'd be stuck with them fo good, which I think is good for me. Now that you've read all of the above (or so I hope), you have every right to know what camera gear I decided to buy, and why. One thing that ignited my interest in m4/3 is the DoF, yes, you read that right, take a look at Kirk Tuck's post on TOP here, with a FF camera, when you want to get a reasonable DoF to get both eyes of your subject in focus or get enough of a product you're shooting in sharp focus, you have to stop-down a lot, at the expense of lower shutter speeds and/or higher ISO, while on the other hand a smaller sensor used with a similar fast lens wide-open would give a larger DoF and a better impression of sharpness without resorting to low shutter speeds or high ISO. The negative would be when you need really thin shallow DoF, but you can't get everything you want now, would you? Olympus OM-D EM-5 (black) with the 12-50 kit lens, amazing camera, magnesium alloy body, EVF (think pre-chimping with histogram), wicked fast AF, in body IS, up to 9 fps, weather sealed, wireless flash control, small, tiltable LCD, better noise performance than the 7D and the D7000. 12-50 kit lens (24-100 equivalent), got it because it's a bargain, and it will give me wide angle, weather sealing and macro at the same time. Panasonic Leica 25mm f/1.4, for day-to-day use, fast aperture, excellent quality and my favorite 50mm equivalent focal length. Olympus 45mm f/1.8, for tight portraits with a bit of background separation, very fast AF and very sharp wide-open. Olympus 40-150mm telephoto (80-300 equivalent) this was an Amazon suggestion, for just $130 more than the camera kit price, I got this lens, a Transcend 32GB Class 10 SD card, Olympus messenger bag, travel tripod with bag, cleaning kit, wide and tele converters with cases, UV filters, filter holding bag, and I don't remember if there was something else, it was too good to pass. FL600R flash, tiny TTL flash with a GN36 @ ISO 100, will be used mainly for bounce indoors, and I already have a couple of powerful YN-560 II flashes for setup shots. It also can act as a slave to the OM-D's flash. Sony RX100, surprise, the best P&S in 2012 if not ever, amazing performance (thanks Sony for your amazing sensors in the OM-D and here) in a really tiny package, after much consideration and almost buying the Canon G15, I chose this one. There was a kit at Amazon (at no extra cost) that adds a Sony 32GB Class 10 SD card, a Sony carrying pouch, a cleaning kit and a few other useless items. Thinktank Retrospective 5 bag, a small bag that can carry most of the gear listed above, and doesn't look like a camera bag screaming "come and steal me". Lowepro Apex 100AW & 30AW, the first for carrying the OM-D with a single prime, and the other for the RX100. 3rd party battery cahrgers + 2 spare batteries for both cameras. Would you take a guess at the price of all of the above? Almost the same as the price of my 5D3 body alone, can you imagine that? And much smaller in size that I would be able to always have a camera with me, something that I wasn't able to do with the DSLRs. If you're not a working/paid photographer, you have to set your priorities and targets firmly, and you have to keep them in front of your eyes all the time. Don't buy a piece of equipment because you want to be able to take a certain photo like this photography blog showed, think hard, would you take this picture again? Will it deserve the money paid on new gear? Use what you already have and get the best out of it, until it dies. Did you already get the best out of it and want to move to the next level? Don't, keep using your gear, you've already been happy with your gear and making great pictures, the next upgrade might cost 2x, but only enhance your pictures by 0.1x. If you have the chance to buy well-used gear instead of brand new, please do, you'll save a lot of money when you decide to sell your equipment for whatever reason. Are you sitting on piles of money that you don't know what to spend it on? Ignore this whole post and go buy as many cameras and lenses as you can. 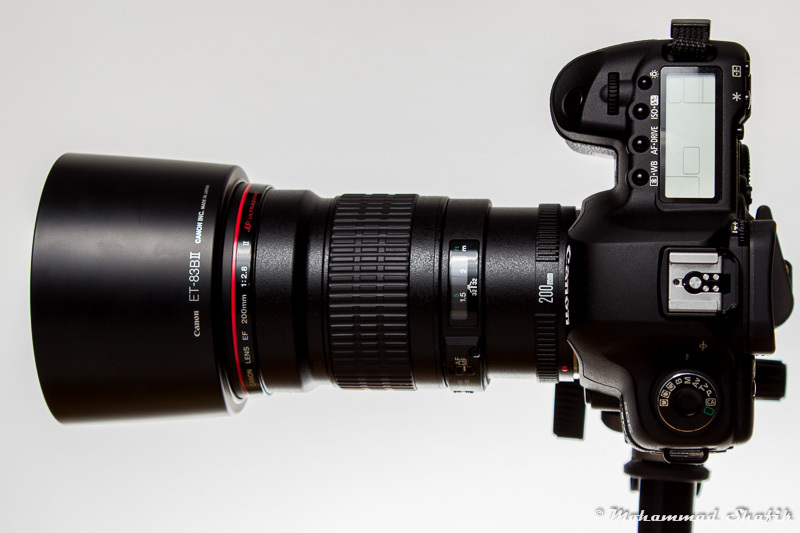 The 5D Mark III is the best camera I have ever used, and I will really miss the FF and 200 f/2.8 look wide-open. I hope I have answered all of the inquiries and questions I've got, and I hope this post helps other people to fall into the same mistakes I did. I still can't envision to compromise the DOF. The APS-C is giving me good results, but I still want to look the way I looked using a full frame film camera. :( I shot voigtlander RF in the past before moving into DSLR. With a small bag, I had 1 body and 3 lenses... now, with the same bag, I can put 1 body and 2 batteries. I am waiting for an affordable M9, but I probably will wait a few decades... Unless I build it myself. I contemplated the m43 system, but at the end, I told myself I wanted DOF control more than anything else. I usually go out on shooting with 1 body 1 lens (1 light), so I can still do weight management correctly. Anyhow, that's maybe because I am also an engineer... and there are some technical aspect that we will always see as an engineer, that's part of ourselves. Have fun with your new system and keep on the good job here. Thanks Valentine for chiming in, it's not only the size, it's the cost of all the gear I had that I only use once or twice every week, I always go out with one lens and body, so having 4 lenses meant each one got to be used once a month. As for the DoF control, I agree with you, it's hard to lose it completely, but I have reviewed my pictures with the crop sensor cameras and not so fast lenses, and I realize that the lighting, subject, certain moment are more important than shallow DoF alone, I believe I will enjoy the challenge, and I will certainly keep posting here, we'll see how it goes. thank you a lot Mohamed for sharing your journey with us. I wish that you are not blaming yourself too much because it might cost you a lot to learn the lesson but I think this amazing experience will be reflected at any decision you will take in the future, so your loss is your gain. I hope you could tell me if you have noticed a lot of the low iso noise banding in the 5d2 and also what about its crap autofocus system, did it hurt you a lot? Sorry for the late reply, I was extremely busy at work, anyway, yes, I'm optimistic about the next phase, but I am afraid I'd fall in the same trap and start buying more lenses for m4/3, we'll see. As for the 5D2, never seen banding below ISO 6400, as for focusing the center point is as good as any camera in the world, however the outer points are tricky in low light, you might want to focus and recompose, but in good light they work ok.
excellent write up, and to be honest, I suffered the same dilemma. I lugged around a D70/300 + pack of lenses for nearly 6 years. Tremendous quality, enjoyed it a lot to capture my kids growing in their first years. I even went "smaller" than you did en decided upon a NEX-6 16-50mm + 35mm 1.8 fixed. Sold all my other Nikon equipment (*wipes off a tear or two*). Main reason for the NEX-6: APS-C sized sensor (as opposed to µ4/3), highly portable and I got a good price. I'm feeling a happy photographer-dad again. PS thanks for your inspiration. I love your blog. Hey Roel, thanks for dropping by, I wiped several tears while packing my gear, it was hard for me to collect all the accessories and small bits and pieces and bags over the years, sigh. I'll have my OM-D in one week, and the RX100 will be for both me (take everywhere camera) and the wife. I really thought about the NEX-6, but as I told Kirk, I didn't do it because of the lack of the lens line up, in body image stabilization, and the hot shoe, but I bet both would do very fine, good luck with yours. Stabilisation: the Nex-6 has mostly stabilised lenses. I'm unaware of in-body IS. Ha, I am now older and wiser, and less interested in stuff like cameras and such which mortals use, so I won't be jealous. Back to the facts, I just picked one path and locked myself in it, I won't be able to sell my kit to buy a different system. I read about people still using their 6 year old camera bodies and that makes me jealous, I want to have inner peace and don't care about the latest and greatest, and that's what I want to achieve now, I want to use my camera until it dies. And additionally: I got the "green auto mode" back so my wife will take more pictures again! You have a very nice system there. Partly because of your story, I return D600 and stay with my 1-year old D7000. It is all about compromise, isn't it? The willingness to take 80-90% quality photos compare to SLR at a much lighter and less expensive kit. I was stunned to found out that 4 Olympus u4/3 lenses: 12mm/17mm/45mm/75mm together weight 100g less than my 17-55mm lens. This is why m4/3 or NEX attract so many people. I have Nikon D7000+a little Canon S95 P&S now, maybe one day I will make a move like you. Enjoy photography and keep up good work. Hey Xiaoli, yeah, the Olympus system I picked is reported as a nice one by almost everyone, if I followed my heart, I'd also add the 75 1.8, but I don't think so yet, have you seen dpreview's poll for the best 2012 camera? Guess who won? And yes, they are extremely light compared to most things DSLR. That S95 you have is a keeper, put it to good use. I've been following your wonderful blog for a while and let me say that I not only like your pictures but also your passion to write about your experiences. I wish I had the same passion level to share things. About this particular post, I would perhaps dare to disagree. May be because I've myself gone through almost a similar cycle like yours. 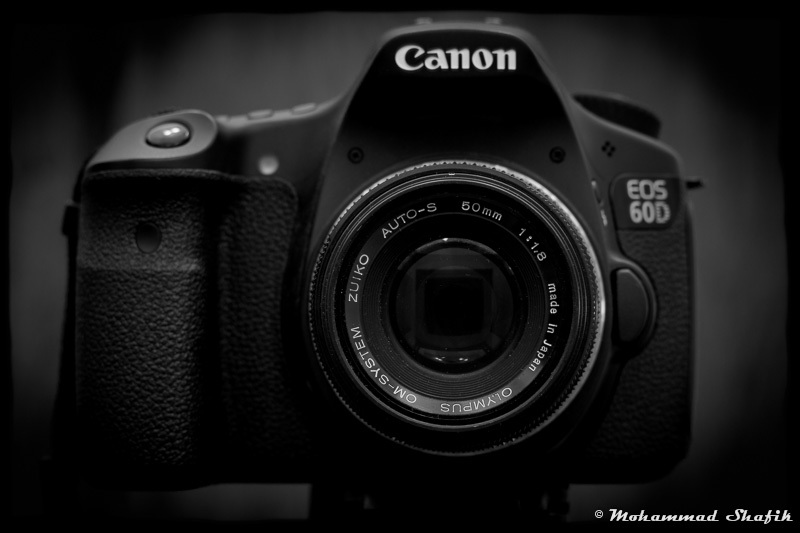 I too started from G12 (you did with G10), went to 550D, and now living with a 60D. Been to Full Frame but came back to Cropped (thats a different story though). I also like to test various cameras that my friends own and I've almost used all of these cameras that you mentioned in your post, all of these are great cameras in my opinion. For some reason, I feel that we need to settle down with something that suits our photography needs and style. Problem is that if we keep switching things, it becomes bit hard to solve the puzzle that what Suits me. Reading and Analyzing Reviews is one thing but understanding what suits me takes a lot more than that. Its certainly a very strong argument against DSLRs being bulky, heavy and bigger, quite an issue when you want to travel light. But is every DSLR that big, that heavy and that bulky ? perhaps not. I've been traveling extensively with my 60D and the 50mm f1.4 packed in a compact Lowepro Camera bag and while I have backup camera (G15) I really dont find this combination (60D+50mm) any burden to carry around. Certainly it cant fit in jeans pocket but it may not be as horrible as we tend to think. I guess the real problem here is Zoom Lenses :) because of the versatility they provide people like to think we have to carry a zoom lens with our DSLR every time we go out. However, getting used to a smaller, lighter (but faster of course) Prime Lens is a completely game. I didn't sell my stuff just for size, I was also always aware with the cost of the camera/lens combo I was carrying, I was afraid it gets stolen, lost, or fall from my hands. Finally just like you said, I am finding out what suits me, and that I don't necessarily have to have the best camera and sensor size to get what I need. Check my latest post, I believe I will be happy with the OM-D, for the first time I can pull out the camera and use it in crowded places without attracting lots of attention. By the way, I just published a Non Technical Review of Canon G15 (since your mentioned this camera in the post). I totally agree. After reading blogs and reviews I find myself coveting new lenses, but I have to step back and think, why did I get this camera? To take better indoor pictures of my family. I don't need $1000 lenses for that. 20 years from now when I look back at a photo of my beautiful 2 year old daughter, the bokeh in the background won't make a bit of difference. Thanks for the post reminder, I am reading it again now. 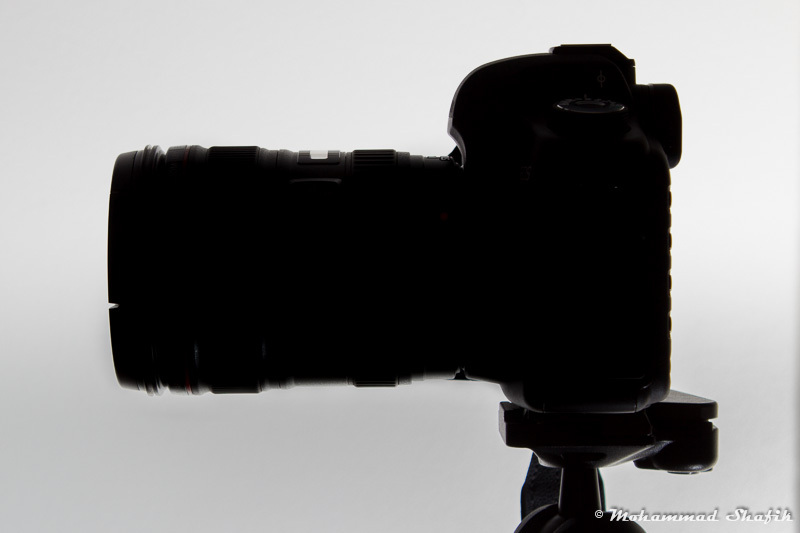 You won't regret it at all, you will enjoy the OMD, lots of fun shooting, and I would suggest the Thinktank Retrospective 5, the pinestone color, it is just brilliant. I am interested to hear how the Sigma 19mm would work for you, let us hear back from you again. A very inspiring post, thanks for that. 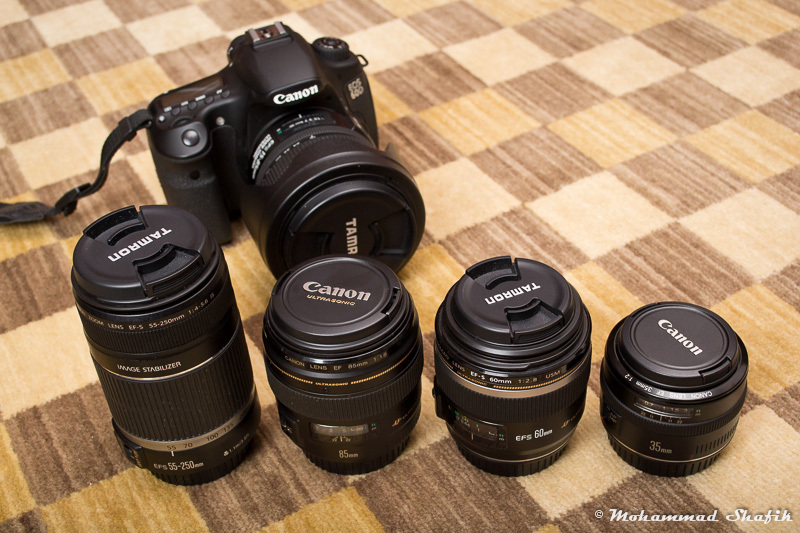 I have a 7D, and Canon 10-22, 17-55/2.8, 50/1.8, 100 L IS, and 55-250. If I go full frame I have to sell nearly everything anyway - depressing. But I always imagined weight would be much the same -- your post is a bit of an eye opener on that point -- MORE depressing. I already think of my kit as heavy, because I use a Domke shoulder bag for easy access and can feel the weight. A backpack would be a step back (pun) for me; I don't want access to depend on unshouldering and unzipping manoeuvres. I am probably going to live out your moral #3 and keep the 7D for a while: I get plenty of amazing photos from it and my only 'wishes' are for  less public staring at me when I walk around with it and line up a shot, (I like to make images of outdoor public life, but am too shy to raise my camera towards people who are staring at me because of the large camera -- in fact I once had a woman approach me using the 7D with the 100mm L IS and hood, she thought I was using a super lens to take photos of little girls, not the open-air market scenes of families browsing the stalls that I was actually getting, and my protestations that my lens has less power than her pocket camera were not believed),  better images at 3200 and 1600 than what the 7D delivers, and  a nicer range of nice primes that suit my camera, especially in the true wides which means 10mm to 17mm. I am amazed how big lenses have become compared to the FD's I once had on my Canon SLR's, and I pine for some elegant, physically small primes that are a joy to behold and a joy to use yet don't cost a mint like some German examples that I would be an idiot to buy on my income. So, a few months ago I made a list -- probably about the time you wrote this post. From memory it says Oly 5 and primes at 12mm/2, 17mm/1.8, 45mm/1.8, and 75mm/1.8. The WHOLE LOT comes in at under 1kg, which is barely more than my 7D body!!! And the typical weight of body+lens in hand is ridiculous. Question: what does the Oly 5 feel like in hand? With a nice prime lens on it of course. Like a plastic toy? Or a pleasure? P.S. you might have kept your 200L and used it on the Oly for its 'look' -- with IS to boot!! Thanks for sharing, I fully empathize with your situation, especially people looking at you and even approaching you. To answer your question about the Oly 5 (which I assume is the OM-D EM-5), it feels great in hand and very well built, some prefer it with the optional grip, but I don't, I have a wrist strap and I use it this way all the time. I got used to it to the extent that I get astonished how I handled the big DSLRs when I use my brother's 60D to shoot something. On the other hand, the OM-D does not feel as responsive as a higher-end DSLR, a DSLR shutter feels more instantaneous, and I will not mention tracking moving subjects, this is something the OM-D totally fails in doing. When using on-camera flash, the DSLR is also quicker to meter and take the shot. It all comes to what you want to do with your camera, and what can you give up to gain something else in another area. Great article and I can see myself in a very similar situation. I gathered top end Canon FF gear over the last few years, spent nearly $10k and got second thoughts about it. My main reason ending up in FF is DOF control. I shoot candits and portraits and use only the fastest available primes from 35 to 135mm and a 16-35II zoom. There is simply nothing that beats this combination in the shallow DOF department. However, I plunged down some money in Jan this year and acquired an Olympus E-PL5 with a 14/2.5 and 17 and 45/1.8 prime lenses. I was teased by the small m4/3 cameras with high quality lenses and wanted to give it a try. I saw it as a nice alternative and unobtrusive camera for street shots. This was the trigger and made me think. The Oly is such a capable and fast camera. I used it until August and it made me sell some of my rarely used FF primes. I actually ended up selling the PL5 and I got the new P5 instead as my MAIN go-to camera. M4/3 is not far behind in terms of image quality. If you compare the ISO range up to 1600 there is barely a difference. Only the extreme areas above 3200 are noticeably better with FF. But how often fiber really use this? I shoot with fast primes most of the time wide open and rarely need ISO above 1600. DOF control is the only thing I might miss here and there but it is also fun to take photos with more 'surrounding' elements and a bit more DOF. It's really not making the picture taking process less fun. At least for me. I go to New Zealand for a short trip soon. I probably leave the 5D most of the time in the Hotel (but not at home ;). thank you for sharing your experience with gear anxiety. I went through a similar phase (as a semi-competent amateur), which also included anger at Nikon. I was angry because I could not replicate my film shooting experience with DX crop cameras: FM2n + 24mm + 50mm + 105mm primes. My D90 with Tamron 17-50 was bigger than my entire film setup. I am not a big telephoto user (had a 400mm Sigma prime (I called it Sigmund :-) that I found used on eBay, but I sold it eventually - hard to get sharp photos without tripod.). Then I got the F4 (what a camera!) because I wanted autofocus, so I repurchased my favorite focal lengths in AF-D (50 1.4, 24 2.8, 105 2.8 micro). When the D600 came out I saw my chance to go back to using my primes without crop, and to enjoying the cinema-size viewfinder on FF. I remember looking through my FM2n and D90 side by side and experiencing great envy for those who could afford a D700. 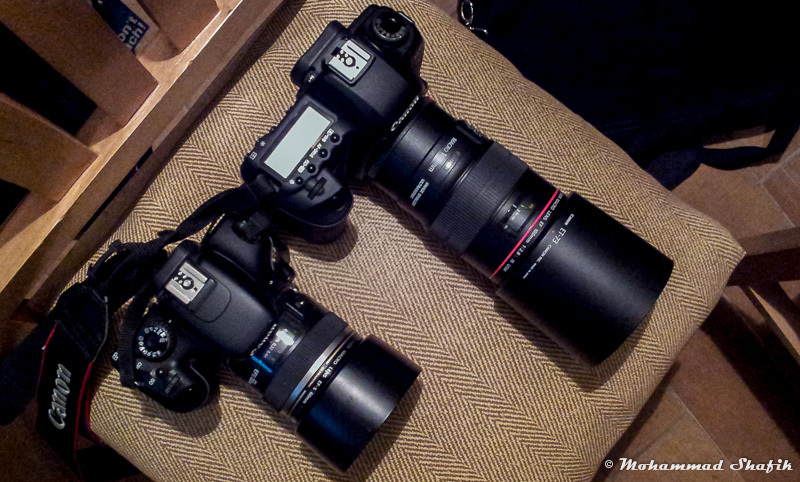 So when the D600 came out (and I had a little more money to spend) I saw my chance to go back to using my AF-D lenses. The reason I decided to chime in is that I managed to stick the D600, 50mm 1.4 AF-D, 24mm 2.8 AF-D, and 105mm 2.8 AF-D Micro into the same bag you are using for your Olympus OM1-EM5 gear: the Think Tank Retrospective 5. For me, the moral of the story is that if you downsize your lenses, a FF system may become much more portable. Yes, I don't have the latest coating, in-lens AF motor or image stabilization, but AF works, image quality is great, and with today's crazy high useable ISOs I can still use higher shutter speeds in low light. The system is till bulky, intimidating to people you shoot (though less than the same camera with a 70-300 AF, stabilized ZOOM with petal hood attached), and attracts attention when you use it on the street. My other camera is a Sigma DP2 Merrill. If these had better high-iso image quality (say, useable in color up to ISO 1600) I would be very tempted to buy all three flavors and get rid of the Nikon gear. But that's a different story. Sorry for the longish post. I added your blog to my photography bookmarks and will be back often to be entertained and educated. I am now more than contempt with the OMD, especially that I added the 75 1.8, and one of my friends wants to buy the EM-5, so I might upgrade to the EM-1 if it proves to be attractive enough. Thanks Mohammed, for posting this blog. I'm reading this in Sept '13 so maybe a lot has changed since you posted this. But I too have just relinquished all my Nikon Digital gear (DX) - I didn't get sucked into the "dark side' with full frame, thank goodness! - I sold three digital Nikon bodies (D50, D200 and Nikon V1) plus 5 lenses on Ebay and bought into the Fuji X series - I chose the X-E1 with the kit lens 18-55mm/f2.8-4. I'm an amateur like yourself and came across this change reviewing my images one day and realised that my photography hadn't really improved that much from my D50 and 18-55 mm lens days - around 2006 ish. 7 years of treading photographic water! So I've gone back to One camera One Lens, and what a relief freedom ... No large bag to lug around, no indecision on what camera to take out and what lens to use! its a dream! If I 'wanna' go out, I grab my camera and a small satchel bag, and I'm gone.. Anyone else reading this, Mohammed makes good sense in not getting caught up in gear lust, it could drag you down, photographically wise. Thanks for sharing your experience Paul, I'm glad you're happy shooting now. I will have to visit your blog.